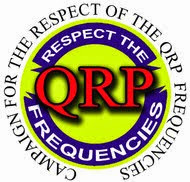 I have no idea what caused that horrendous QRN on 20 Meters the other night; but I have been hanging around and listening to 20 Meters tonight; and so far there is no sign of it. The weather here is the same as it was Tuesday night - hot and humid, no rain. I am sure that it will probably not rear its ugly head again until the next time I am scheduled to be the 20 Meter Fox in a few weeks. However, I did manage a very quick QSO on 30 Meters with HP3DX. K2 and the Butternut got me a 449. Bill was about 569 here. I have often heard it said that, "If you listen to the radio long enough, you will hear everything." I think that in 30+ years as a Ham, that finally came true the other night. I was driving home from work and had the Icom in scan mode. It settled on one of the repeaters in New Jersey that is linked for statewide coverage. I heard a Ham relating the following story. He was driving through a certain town and got stopped by a police officer for going over the speed limit. He was also on the radio at the time. In New Jersey, when you get a speeding ticket a certain "point value" goes on your driving record, depending on how far above the speed limit you were traveling. If you accumulate more than 12 points in three years, your license to drive is subject to revocation. The Ham must have offered some kind of sob story and the officer must have felt sorry for this guy, or something, because he offered him a choice. He had to issue a summons; but was willing to avoid giving the guy the points for speeding if he would take a ticket for using an electronic device while driving. This is New Jersey's cell phone law. If you use a cell phone (other than a non-hands on system) while driving, you get a fine. The Ham agreed to the cell phone ticket instead of the points. What the officer didn't know, it seems, is that there is a specific exemption for Amateur Radio operators built into that law. As far as the law is written, Amateur Radio is NOT cell phone communications and is therefore permissible while driving. So our friendly "lead foot" Ham was explaining to his friend on the air how he is going to court to challenge and possibly have the driving offense expunged on the technicality. I was perturbed. First off, the police officer did this guy a favor. Even though Joe Ham broke the law by speeding, the police officer gave him a break by charging him with a lesser offense with a smaller fine and no points against his driving record. Joe Ham freely admitted his guilt and freely admitted that he was going to try and get out of this on the technicality that the police officer was probably unaware of. How about taking responsibility for your actions and taking your medicine like a man? As it is, he should be eternally grateful to the police officer for not issuing him the speeding points. Secondly, if this guy's argument works; and he does beat the ticket .... how is that police officer going to treat other Hams in the future? He will have gotten burned by one of us once. Think that's not going to reside in the old memory banks for a long time? Think this police officer is going to be sympathetic to some other Ham in the future? I doubt it. This kind of thing makes us all look bad. Fortunately, the friend that "lead foot" was talking to on the repeater advised him against his planned course of action. The friend was trying to be the voice of reason and common sense; but somehow I don't think his advice will be heeded. It seems that anything goes these days. I will keep an ear open to this repeater system over the next few weeks. I will be very interested to see how this turns out. Tonight was my night in the barrel as Fox in the 20 Meter Summer Foxhunt. And in the 5 or so years that I have been a Fox, this had to be my worst performance, by far! And this was one of the times when the bursts were coming at a relatively slower rate! There were times it sounded more like machine gun fire. I had to deal with this for about 80% of the time during the 90 minute time window. Look at how the S-meter moves into 20 dB over territory! I'm very lucky that I was able to hand out any pelts at all. What's even more frustrating is that I have no idea what was causing this. I have listened on 20 Meters a lot the past week or so; and never encountered this before. I am wondering if this has anything to do with the work they did on the utility pole last Sunday when that transformer blew after the thunderstorm. If you were a "hound" in the hunt and tried calling me and calling me to no avail, I apologize. Believe me, it was just as frustrating for me as it was for you. Probably more so. 1) Really have to get a Buddipole mast. The plastic insert on my painter's pole can't handle the weight of the Buddistick. Those 10 foot whips add A LOT of weight! It did the job yesterday; but at the end, the antenna was listing pretty badly. 2) Have to finish the Fuchs tuner, so I can play around with an end fed tossed up a tree. 3) It always seems the weather for the major QRP outdoor events will always end up being less than desired. Have to account for all kinds of possibilities. Yesterday's thunder crept up on me very quickly. I was definitely paying too much attention to the radio and not enough to the sky. 4) Have to tear apart the PFR3A and find out why the internal batteries didn't work. One must have gotten jostled out of the battery insert on the trip back from Lake George. 5) Wish I had been able to put in the whole four hours. From what I have been reading on the QRP reflectors, 40 Meters got WAY better during the second half. 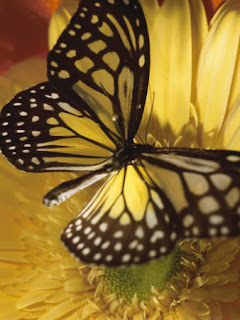 I think that today, it should have been the Flight of the Butterflies. My wife Marianne, who is a nurse, was on call today. That meant, at any given moment, she might have been called in to go to the hospital to administer dialysis to a patient, had the need arisen. With her schedule so uncertain, and not being able to leave the kids home alone (yet), I decided to operate FOBB from the backyard. We have a few butterfly bushes out there; and while I was operating, I glanced over to see a multitude of butterflies feasting on the nectar that the flowers contained. I set up the Buddistick for 20 Meters, and got on the air shortly after the 17:00 UTC start time. I was glad to be under the patio umbrella as it was about 92 degrees (33C) outside. The first 45 minutes or so went well, and then I heard rumbles of thunder. The sky was starting to get dark and a breeze was picking up; so I decided to take the station apart and head inside. I'm glad I did. The station was packed away in the rucksack and the Buddistick was being put away as the first huge drops of rain began falling. I waited for a half hour after the last rumble of thunder and got back on the air again. This time from the basement shack and the HF9V. That lasted for all of about 4 QSOs when a deafening static crash advised me that the local thunder was becoming active again. Closing down the station yet again, it was only a few minutes later that I heard a loud, "BZZZZZT" and the power went out. The transformer on the utility pole down the street died yet again; and we were without power for over 90 minutes. I guess I could have hooked the K2 up to a battery to continue, but sitting in a dark basement wasn't appealing as far as logging goes. A few minutes after the power went out; the downpour really began in earnest. After the last of the lightning and the last rumble of thunder was long gone, and after last raindrop had fallen - the temperature had dropped, too. It went down from 92F to 72F (22C) in about the stretch of about 90 minutes. The scorching heatwave of the week and the Flight of the Bumblebees 2010 edition were both over. is in full swing on the bands. 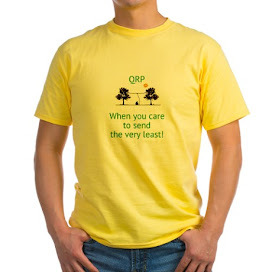 I worked IS0B in Sardinia and ZF2JT in the Cayman Islands (QRP, of course). 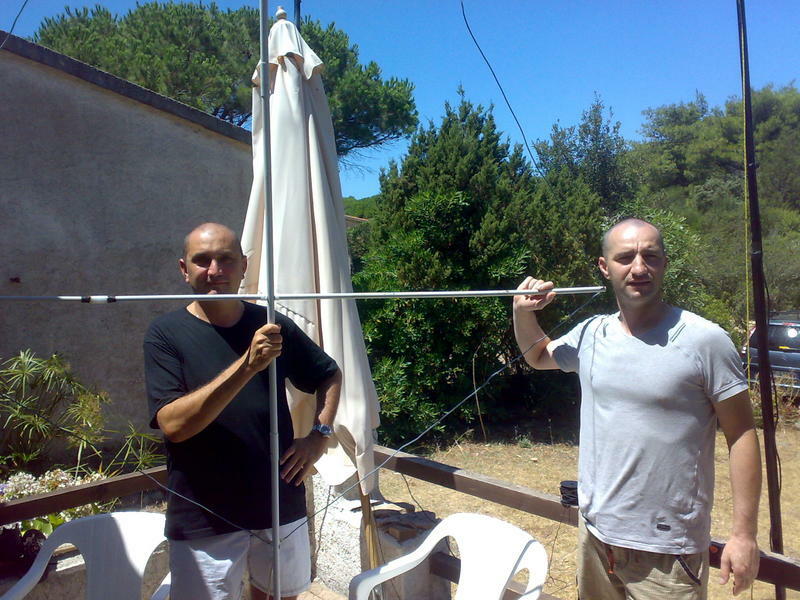 The Butternut HF9V is a wonderful antenna! All this while sniffing around for a ragchew that I never found. Tomorrow is the Flight of the Bumblebees and a family commitment has come up that might severely cut into my operating time. With any luck, I should at least manage to get one or two hours in towards the end of the contest. Keeping my fingers crossed. Here it is, almost 10:00 PM local time and it is still 87 F (30C) outside! It reached just shy of 100 F (37C) today and promises to be even hotter tomorrow. So it seemed that discretion was the better part of valor, which dictated a nice trip to my cool basement shack, where the temperature remains a pretty constant 69 F (20C) throughout the summer. The trip yielded two nice ragchews on 40 Meters - the nice part just above 7.100 MHz. The first was with John WB4OFT in Advance, NC. John was using a Kenwood TS570 to and Inverted Vee. He had a nice 599 signal. He is SKCC 958 was was using a Schurr hand key. As mentioned, we exchanged SKCC numbers, and I think he was a bit taken aback by my low number (49), which caused him to ask for it again. John and I are pretty close in age, only two years apart; but John has been a Ham for eight years longer than me. After bidding our 73s, I tuned down the band just a few KHz and called CQ, as John was being tailended by another station. My CQs yielded a call from Gary VE1/K3OMI. 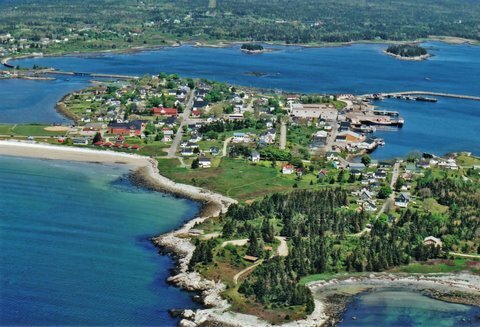 Gary was operating from his summer home in Lockeport, NS and was using an Icom IC-7000 to an Inverted Vee up at 35 feet. Gary informed me that it was hot today in Lockeport with a high temp of 80F (26C). A far cry from the hot and humid weather in NJ. And from the looks of the above picture, Lockeport looks to be a really beautiful summer home location. I haven't had the opportunity to sit down and ragchew for quite a while, it was nice to pound brass in a leisurely, conversational manner. The parts that I need for the Buddistick arrived via UPS yesterday. In addition to two new 22 inch antenna arms, I bought two of the heavy duty 10 foot whips. These do not collapse down small enough to fit into the nylon Buddistick carrying bag; but no matter. Using the longer whip should really help out on 40 Meters. From the tip of the painter's pole will be 44 inches worth of antenna arm, with the multi-band coil coming next. On top of that will be the 10 foot whip. That's close to 14 foot worth of vertical antenna perched atop a 12 foot (extended) painter's pole. My Buddistick will be almost as tall as my Butternut HF9V when all is said and done! Of course, only the top 14 feet will do any radiating; but is should be a more efficient antenna for 40 Meters than just the standard Buddistick configuration (22 inches worth of antenna arm and only 5 feet worth of whip). In addition to the arms and whips, I bought the Buddipole book by Scott Andersen NE1RD of "100 Pound DXpedition" fame. Skimming through it, it looks like a great book and a good read - well worth the $15.00. Scott has taken his Buddipole all over the word on various mini-DXpeditions and it has performed wonderfully for him. It's always a good thing to be able to learn from other people's successes. A lot of the guess work in setting up a Buddipole or Buddistick is eliminated as Scott relates the actual set ups for each band. It seems to me that if Scott was able to use his Buddipole to make 1000s of QSOs from Montserrat, St. Lucia and other exciting locations; then I should be able to generate some decent FOBB contacts from my backyard, or the park, or wherever with my Buddistick. Next month, when I get a little more cash saved, I think I am going to purchase the Buddipole "standard mast". Truthfully, it will extend to only about 10 feet (about 2 feet less than my painter's pole). But it does collapse down to 22 inches. The painter's pole collapses down to around 5 feet. Not the easiest thing to haul around, especially in the car. It's too long to lay down sideways in the back of the Ford, so I have to let it lay up the side. And this is a bother to the backseat passenger on whichever side that happens to be. But I do have to admit that it does make a decent walking stick! Terrestrial weather forecast for Sunday: Partly sunny with a chance of showers and thunderstorms. Highs in the lower 90s. Chance of rain 30 percent. 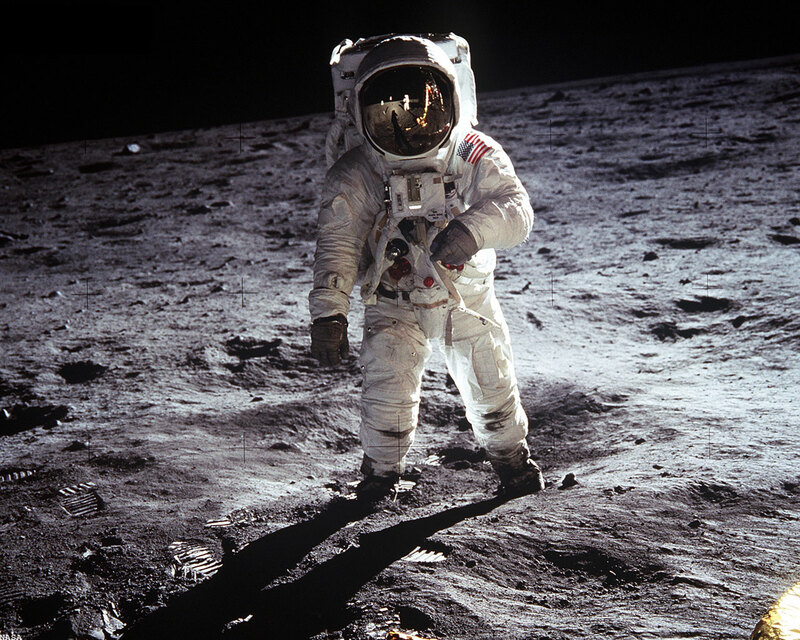 today is the 41st anniversary of the Moon Landing. I was 12 years old and watched every minute of it that I could on CBS News. Those were the days, watching Walter Cronkite and Wally Schirra as commentators. 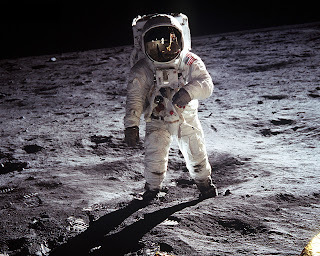 My family gathered around the television and watched the TV late into that Sunday night as Houston decided to let Neil Armstrong and Buzz Aldrin begin their EVA early. Those were heady times for a young boy of 12 with strong interests in science, astronomy and radio. I am very glad that I was alive during the era of the "space race". That was an exciting time that we will probably never see again. I visit eHam on a regular basis. eHam is, as Forrest Gump's mama would say, "Like a box of chocolates". You never know what you're going to get there; and sometimes you have to delve through the crappy chocolates to get to the good ones. Today, I was pleasantly surprised to find one of the BEST chocolates right at the top of the box! A short story by Don Keith N4KC entitles "The Antenna Party". Please click on the title to go read the story. It is a gem. 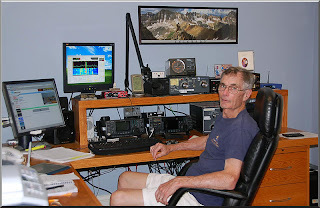 Don N4KC and Jeff KE9V are two of the best Amateur Radio short story authors that we have. I wish that I had a 100th of the talent that both of these gentlemen possess! I am looking at the propagation box to the lower right and I am liking what I see! Flux is up around 80. While the SSN is only 12, conditions are looking better. Can it hold out for the Flight of the Bumblebees this weekend? I certainly hope so! My replacement Buddistick whips should arrive here on Wednesday. I am pumped and will be ready to go - even if it's only from my backyard (my wife is "on call" this weekend, so no traveling far from the house). The extended forecast for Sunday is looking for clear, sunny skies with temperatures in the upper 80s. I can handle that! Last night, I had the Wouxun in scan mode; and settled in on a conversation taking place on one of the local repeaters. As it closed upon 10:00 PM local time, the Hams in conversation were quite rudely interrupted by other Hams informing them (VERY impolitely) that the daily traffic was about to begin. As long as I have been a Ham, this net has taken place religiously on that frequency at 10:00 PM. But that's a tradition and shouldn't be etched in stone. No one owns a frequency. The Hams in question could and SHOULD have been informed in a way more polite and friendly manner that a net was about to begin. It's a bad reflection when someone comes on frequency without identifying themselves and starts shouting into the microphone, "Net, Net, NET!!!!" I guess it just goes to show that we have more than our share of idiots, also. but it's also good to be back home! Not looking forward to hitting the "daily grind" on Monday; but we made it back safe and sound. Oh, we did put down a deposit for the same cabin next July. Only 51 weeks away! In addition to the HF gear that I have brought along on our yearly pilgrimage to Lake George, I have also brought along the Wouxun 144/440 MHz radio and a spare battery. I have not gotten on to talk; but have done a lot of monitoring. I have not gone out of the way to program in any new repeater frequencies; but have made do with what I have already programmed in. Sure enough, some of the repeater pairs that I have programmed in are active up here; and it's quite interesting listening. There's one repeater in particular, 147.135 MHz upon which I have heard at least a half dozen or so QSOs on the subject of D-Star. It appears that there is a group of Hams up here in the Adirondack region that are quite hot to get a D-Star network going. I have heard Northern New Jersey and New Jersey in general being referred to as a "hotbed" of D-Star activity. I wish I had the correct PL tomes programmed in, as I could easily set them straight. Yes there is some D-Star activity in New Jersey; but I would not characterize it as a "hotbed". There are only one or two groups off the top of my head that I can think of that are actively using D-Star. Nowhere near the majority of Hams or repeaters. Amazing how false information gets started going around. I am sure this happens quite often and is probably the way that "Urban Myths" originate and propagate. While being up here in Lake George, the WiFi connection has been "not so good" (very weak). So I have found that, for whatever reason, that using Google Chrome as the browser of choice has been working much better than FireFox. It loads quicker and doesn't seem to get hung up as much. No HF operating today. Our last day here has been rainy. Intermittent showers are making everything wet and very humid here, to boot. And we are now in the process of packing up to head back to NJ tomorrow. Next year I will bring extra whips and everything, so that I don't run into Buddistick problems again. The PFR3A is a very good radio. Better than I was willing to admit given the sour taste I had towards it as a result if my building experience. Still not quite as good as the K1; but a solid performer. Major need for improvement in one area - the display. Man, is it hard to read an LED display outdoors in the daytime. An LCD would have been the way to go; but I guess that would have raised the price of the radio considerably. I found myself shielding the display with my hand, so I could know what frequency I was on. Tuning is a breeze. Even with the initial bias I had against push button tuning, I acclimated myself to it quickly. The receiver is solid and the built in tuner works like a charm. I would recommend this kit to anyone with more than one or two kits under their belt. You will have a very good time using this radio in the field. Another built in advantage is the color. Many scoff at the bright yellow enamel coating; but as a side benefit, the radio does not get hot. The dark gray case of the K1 can heat up the radio and cause it to drift in the hot sun, Not so with the PFR3A. All in all, I am very glad that I ended up not selling this radio. It will not replace the K1; but it will get used. I am going to ditch the doublets as part of my portable operating antenna arsenal. From now on it will be the Buddistick and maybe an end fed wire. Doublets and dipoles are ideal for a camping set up, where you might be situated in a base camp for a few days to a week. For just a couple hours of operating, they are more a pain than it's worth. The Hamsticks will also remain a part of the scheme when operating solely from the back of the car. My kind of outings are very temporary in nature. I want to get set up and get in as much operating time as possible. With the Buddistick out of commission until the new whips arrive, I was forced to resort to using my zip cord 88' doublet antenna (always good to carry SOME kind of backup!). It is quite a pain setting up a doublet antenna for just an hour or two of operating. If "in and out" quickly is your main goal - then the Buddistick or PAC-12 is the way to go. The time it takes to set up a doublet or dipole takes away from operating time. Getting back to setting up the doublet - I used a hint from Jim W1PID. Instead of using my slingshot and fishing weights to get line over a tree limb, I tied some line to a 20 ounce water bottle and flung it up over a couple of tree branches about 20 - 25 feet high or so. While doing this, a couple of women came into the park I was using - once they saw me heaving a water bottle over a tree limb, I think they took me for a crazy person and left! I was waiting for the police to arrive shortly thereafter; but they never materialized. In case they had, I always make sure to carry both my driver's license as well as my Amateur Radio license. The 88' zip cord doublet loaded up easily on all three bands that the PFR3A has - 40, 30 and 20 Meters, using the PFR3A's built in tuner. There was a little activity on 20 Meters; but it was all at the low end of the band and at the noise level; so I didn't bother. 30 Meters was dead; but 40 had a very few sparse loud signals. I called CQ for a while and was picked up by Don KU4WE who hails from Lexington, VA.
Don was using a Flex5000 at 100 watts to a rotatable dipole at 65 feet. He was a solid 599 and I got a 459 report from him, which I don't consider to be all that bad considering the antenna. We chatted for a few minutes until QSB started killing my QRP signal and we each bade our 73s. I was going to continue on for a bit; but some workmen started using the park for a lunch spot and some local kids came to start using the basketball hoop. I decided to call it quits and packed up everything for the day. I took the advice of Jeep off roaders whose motto is, "Leave no trace behind", and made sure that there was no sign left of my excursion for the locals to complain about. it is best to be prepared. Disaster struck, I was not; and I have learned from it. I brought the Buddistick out with me to do some outdoor QRPing, only to discover that I forgot to bring my painter's pole mast with me. So I decided to make due by setting the Buddidtick on the small tripod on top of the car. You guessed it ..... it fell over, snapping the whip in two. I have placed an order with Budd for TWO new 10 foot replacement whips. One to use and one as a back up. I also ordered two more 11 inch antenna arm segments which will allow me to put a total of 44 inches worth of antenna arm segments, the coil and then the 10 foot whip as the normal set up. I am contemplating acquiring the standard Buddipole mast. Totally extended, it would actually be a couple of feet shorter than my painter's pole; but it collapses down to 22 inches, making it much easier to carry around. And it is hot and humid; but I am going to head out and try operating from "The Great Outdoors" in a bit. Listen for me around 1800 UTC on 7.040 and 14.060 MHz. The 2010 Summer QRP Fox Hunt season commenced this evening. The two Foxes were Jim N0UR in Minnesota and Sam N4SAM in Alabama. I managed to bag a pelt from Jim early on; but Sam proved to be pesky. I had to turn the AGC off to hear him (only with the vertical - the G5RV yielded nothing) and at BEST he was 339. I listened until close to the bitter end; but could tell he switched from working split to simplex only by the stations calling him on frequency. At this point he was at ESP levels (I think I hear him!!!! ); so I called it quits for the night. In the middle of listening for Sam, a W8 station came on frequency and sent a "QRL?" - I have to give him credit for that. But about a bajillion guys answered "YES" and this guy began calling CQ anyway! He had to have heard at least one "YES" out of the multitude - wouldn't you think? Oh well, at least I was able to tack one pelt on the wall! UPDATE - I was able to get the battery inserts soldered up properly after the power came back on. I "cheated" profusely, however. Since I know these tabs are difficult to solder (they warn you about this in the instructions) and the plastic insert melts quickly, I did two things. First, I scraped the surface of the tabs really well with my venerable Swiss Army knife. Then I really cheated and put some old, expired AA batteries into the inserts to act as heat sinks. It worked as I was rewarded with the display coming on as I switched to the internal batteries. However, my confidence in those battery holders is not 100%. I think when we go on vacation, I will bring along one of my small 12V SLAs as a precautionary backup. Also, I think I am going to place an order for better battery inserts with Mouser or Jameco. It reached 103F here today (39.4C) AND we lost power this afternoon for about an hour. My only concern was contemplating trying to sleep in this heat without at least a fan. Turned out to be the transformer on the utility pole down the street. Public Service Electric and Gas came out very promptly to make at least a temporary fix until a permanent replacement transformer can be installed tomorrow. I grew up in a house that had no air conditioning and can generally live without it with not much problem. I guess that's why I don't mind hot weather at all. However all that said, it is tough to sleep in a sauna! On a radio note, I installed eight AA batteries in the PFR3A and no go! Looks like I have to re-solder the wire between the two battery inserts. The problem is that these inserts are very flimsy and you have to be FAST with the soldering iron. was spent with the PFR3A transceiver tonight during the ARS Spartan Sprint. I did not get on the air to try and win the Sprint or even operate the entire time. I just wanted to see what I could hear and work on 20 and 40 Meters. 20 Meters yielded John K4BAI and Dave AB9CA. 40 Meters yielded an additional half dozen or so contacts before I shut it down for the night. Tomorrow is back to work; so I am going to hit the hay right after finishing this post. I got good practice using the built in "Balanced Line" tuner, which does an excellent job tuning up the Butternut HF9V for whatever little mismatch is present there. I find that when trying to use the tuner, it is way easier to look at the LED from a side angle than straight on. This makes it easier for me to figure out when the LED has achieved "maximum dimness" or has gone out altogether. I also have it down to the point that I know what note pitch to tune for so that when I answer a CQ, I am zero beat with the calling station. Little things; but important things. I also got in some practice time with the AA0ZZ keyer, which is also a breeze to use. The combination of the PFR3A and the AA0ZZ keyer is hard to beat. BTW, it was blistering hot here today. If my backyard thermometer is to be believed, and I think it is, it reached 103F here (39C). The thermometer is located in the backyard in a shady and somewhat sheltered spot, so it's not like it is getting heat reflected towards it from asphalt or concrete. Tomorrow promises to be as hot with some relief possibly for Thursday. That was fun and enlightening ! I participated in the Michigan QRP Club Independence Day Sprint for a little bit after almost forgetting about it. It was on my mind all day yesterday, how I wanted to join in; and then, when the Sprint begins, my mind is a million miles away! Anyway, instead of using the K2, I used the PFR3A hooked up to the Butternut HF9V. Instead of using my Emtech ZM2 tuner, I decided to give the PFR3A's built in tuner a try. There have been a lot of comments on the PFR3 Yahoo Group about some guys not being able to make the built in tuner work properly. I hadn't tried it up until tonight; and I wanted to see if mine would work satisfactorily. Fortunately, mine seems to be working just great. On all three bands, I was able to get the indicator LED to go out completely, indicating a good match. I worked 6 stations in the MI QRP Sprint on 40 Meters. I tried working a Scandinavian station on 30 Meters; but unfortunately all I got was a "W2??" in response to his CQ. Then I hopped on up to 20 Meters and had a very brief QSO with AE4YP near the 20 Meter QRP watering hole frequency. 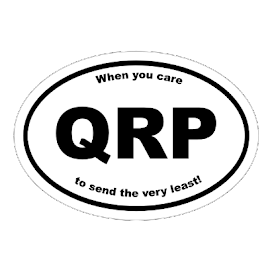 So I was very pleased with the performance of the PFR3A tonight and am feeling much more confident about taking it as my only QRP rig on vacation this year. My plan is to take the PFR3A loaded up with AA batteries in the internal holders, a paddle and my AA0ZZ external keyer, the ZM2 (as a backup) and a few assorted antennas (Buddistick and doublets). I want to keep it light and easy this year. 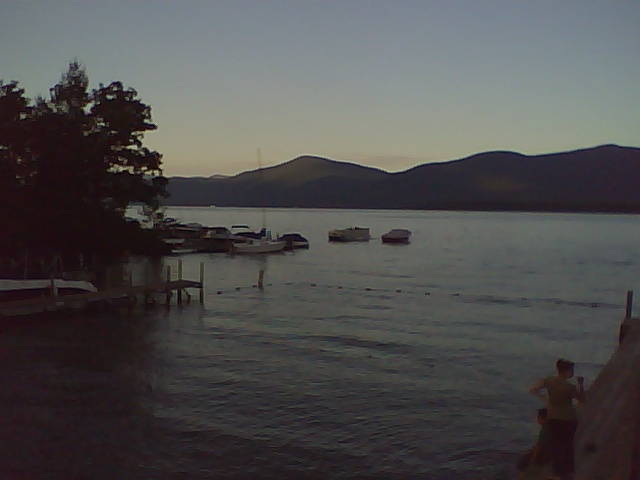 My goal is to get a few hours operating time in over the week we are up in Lake George; and I also want to see if W3BBO and I can hook up on CW this time around. I'm also thinking of setting up not only from the place where we'll be staying; but also getting to the top of one of the nearby Adirondack mountains for some extra footage above sea level. By the way, the Independence Day weekend heatwave began with a vengeance! Yesterday just reached 90F (32C); and today we reached 97F (36C) according to the thermometer in the backyard. Tomorrow is supposed to reach or even break 100F (37C). I have some yardwork to do and I sure picked a good day to do it! I will probably get a very early or late start on that so as to avoid the peak temperatures. We have not had a lot of rain as of late; and the back and front lawns are getting crispy. Looks like it's time to buy a new sprinkler. Have a safe and Happy 4th of July; and please remember what it's all about! My most favorite part from the movie of the same name. William Daniels as John Adams - my favorite of all the Founding Fathers. I would really like to set up a personal weather station here at W2LJ. It's another thing on my "To Do" list - or should I say another thing on my "To Save For" list. The good ones are very expensive. In the meantime, I picked up from a discount house a little LaCrosse Technologies - "WeatherDirect" station. 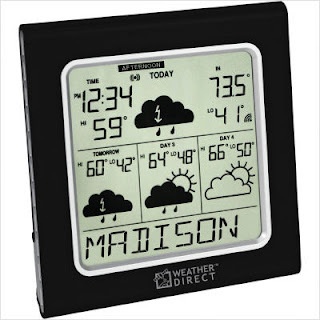 This device is not a personal weather station, per se, but it does pick up local weather information via the Internet and the sends it to the display unit, pictured above. It does have an outdoor temperature sensor which takes my readings and places them on a map. It is quite interesting to look at the temperatures surrounding the South Plainfield area, to see how they compare to mine. I guess I'm just a gadget junky at heart; but someday I really would like to put up a full blown weather station and then hook that up to APRS. I never really had a big yen to get involved with APRS; but for weather data, I think that would be ideal. At work this week, my partner and I were faced with the task of getting close to 400 Dell R610 servers ready for install. It was one hectic week of unboxing and labeling servers with their host names and then organizing them by asset#. Certain assets have to go into certain cabinets; and we had to organize them against spreadsheets that we were given. I still have to go in on Sunday to finish labeling the last 200 or so. These need to be ready for first thing Tuesday AM. Needless to say, I am fried - a few Ibuprofen and early to bed for me tonight! My bones are aching and my head is spinning. At least I'm not wearing that boot on my foot anymore! 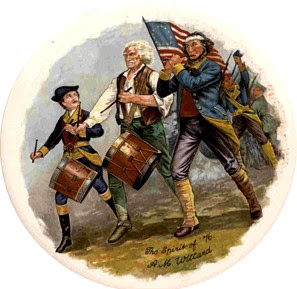 Keep in mind that Sunday night is the Michigan QRP Club's Independence Day Sprint. For all the details, please visit: http://www.miqrp.org/contest.html I am really hoping to join in on this; as with the wacky schedule of events that I am looking at - daughter's swim meet, yard work, house cleaning, work on Sunday afternoon - this may be my only "on air" time that I get this weekend. Right now, as I am typing this, my dog Jesse is securely nestled at my feet. The town of Scotch Plains (one town over) is having their fireworks display tonight and the booms and blasts seem to upset Jesse more and more as he grows older. He is a Brittany and will be 11 years old this year. He is such a good dog - my father in law, when he was alive, always used to say, "This dog doesn't have a mean bone in his body". And it's true! I pity any burglar that would enter our house - be prepared to be slobbered to death! 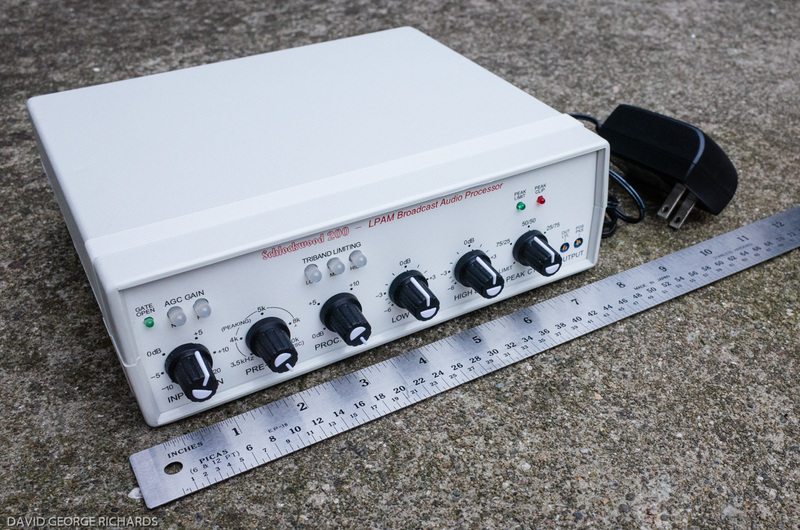 By now, most of the QRP world knows that TenTec has added the HB-1A to their repertoire. They've changed it, though, to a two band radio, offering two versions - a 40/20 Meter version or a 40/30 Meter version. The "new" HB-1A available from China is the TJ6A, a six band multi mode radio. For a look at it, you can go to YouTube and see it here. It's available on eBay, in kit form for $245.00 plus shipping, which really isn't all that terrible. It will operate on 80, 40, 30, 20, 17 and 15 Meters. A maximum of 10 Watts out and will handle USB, LSB and of course, CW. It does look to be mostly surface mount, however - so it is definitely for the experienced kit builder (with good eyes and steady hands!). I like the fact that it does have an honest-to-goodness tuning knob - no push button tuning! If I was a lottery winner, I would be tempted. Several folks have asked if I like my Wouxun 2 Meter / 220 MHz portable. The answer is enough to go onto eBay to find and purchase the accompanying 2 Meter / 440 MHz version. I love the audio quality and the physical lightness of the radio as well as how it feels in my hand. I find it easy enough to program without resorting to the help of a PC to do it. Hopefully, it will be getting here from Hong Kong in short order. My Alinco will be donated to a young local Ham who I taught in the class that Marv K2VHW and I gave a few years ago at our local Office of Emergency Management. He is in high school now and is still "equipment-less". He's still very interested in the hobby and I am hoping that this will be his doorway into getting more and more involved. VHF/UHF now and hopefully HF in the near future. There is one catch, though. I told him that when he is an older licensed, veteran Ham; that it will be his responsibility to do the same thing for some newcomer in the future. This young man is quite the example of a teenager who has his head screwed on correctly. I have no doubt that he will keep his promise to do this in the future. Plus the fact that I plan on hanging around long enough to prod him if I have to! Another heat wave is coming, just in time for the Independence Day holiday weekend. The forecast is for temperatures in the upper 80s (31C) tomorrow and Saturday; but then, beginning Sunday, it will be in upper to mid 90s (36C) for all of next week! 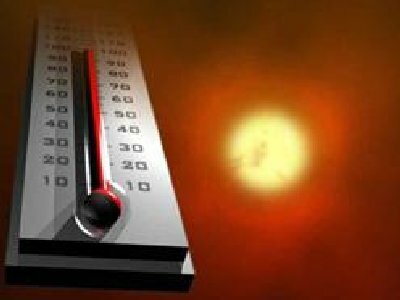 The NWS has issued a Heat Advisory for Sunday through at least next Wednesday. It feels like Summer came fast this year and with a vengeance! But this is my favorite time of year; and I would rather deal with this than shoveling snow any day of the week! It takes all of about 10 minutes or so to complete. I am looking forward to the upcoming long weekend. I really hope to get some "on air" time, preferably somewhere outside with either the PFR3A or K1. There's no rain in the forecast for over the weekend; so maybe Sunday or even Monday (I'm off) might present an opportunity. When the weather gets wild and woolly, sometimes the bands tend to open. It would be nice to experience some good openings. All I have to do is get through tomorrow at work. Unfortunately, right now that's looking like a tall order. BTW - added a new blog to the list. Check out "The Boring Ham Radio Part" which appears to the right. This is written and maintained by Bill Coleman, who I have worked in many a Sprint and Fox Hunt.